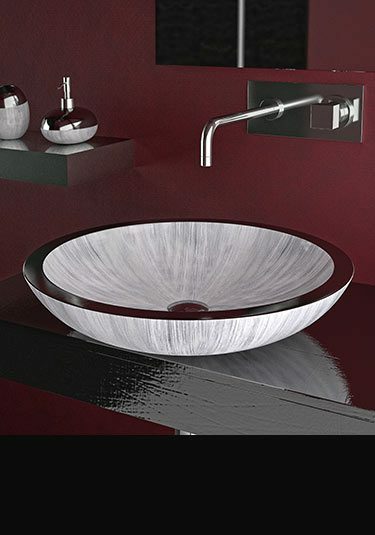 Beautiful metal basins supplied in white, red and black bi-chromatic finishes. 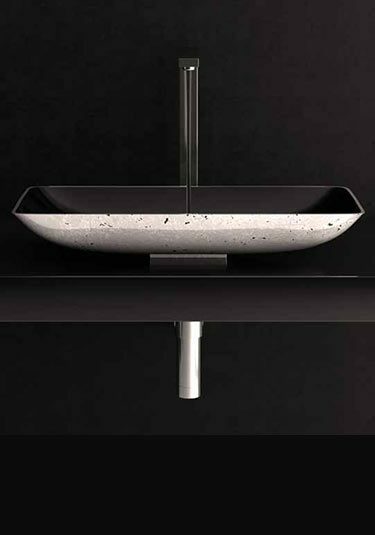 These luxury metal basins are the latest in Italian contemporary design and ideal for exclusive bathrooms. 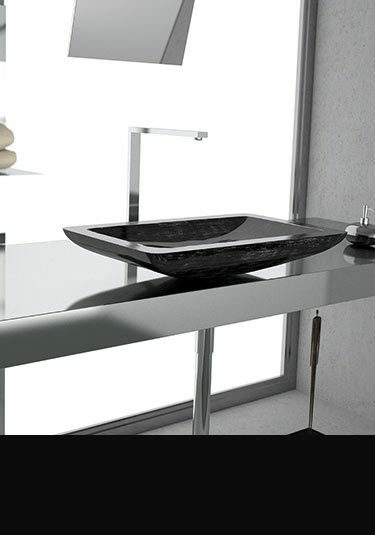 Contemporary styled rectangular basin made of an alloy composite. This exclusive design is available in 2 colour finishes. Latest in Italian bathroom design. A designer rectangular wash basin made of an alloy composite which is finished with a unique gold or silver leaf finish. These exclusive designer basins are the latest in Italian bathroom design.